Save on Laminators & Supplies! Pouch Laminators: Easily laminate business cards, photographs, brochures, menus and other documents that need to be protected or presented. Laminators accept a wide variety of pouch sizes and thicknesses. 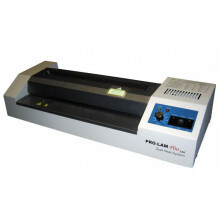 Roll Laminators: Typically used to laminate larger documents and have the flexibility to laminate most sizes. Unlike pouch laminators, roll laminators are able to laminate several items at once quickly without the need to get size specific laminate pouches. Laminating Supplies: Laminate pouches ranging from business card size (3.5" x 2") to large menu size (11" x 17"). Laminate roll film ranges from 9" wide up to 27" wide. Both pouches and rolls are available in different thicknesses. 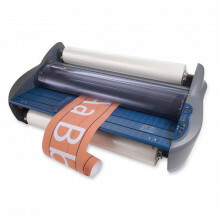 GBC Ultima 65 thermal roll laminator is ideal for photo-quality laminating jobs up to 27" wide. User-friendly control panel and film loading. - Max Laminating Width: 27"
Laminate your precious photographs with Akiles Pro Lam Plus 330. The 13" throat offers extra-wide entrance for easy pouch feeding while the dual heat system offers more efficient lamination at lower temperatures. 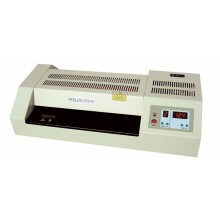 - Max Laminating Width: 13"
GBC HeatSeal H700 Pro thermal laminator is perfect for offices that need to laminate over-sized items such as banners, posters and mounted signs up to 18" wide. Compatible with thermal and self-adhesive pouches. - Max Laminating Width: 18"
GBC HeatSeal Pinnacle 27 EZLoad Roll Laminator laminates documents up to 27" wide. Accepts GBC EZload roll film only. 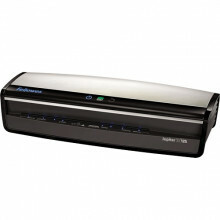 The Fellowes Voyager 125 laminator features an advanced belt-drive transport system for jam-free performance. Designed with cleaning sensors to notify user when dirt or glue is detected and needs cleaning. - Max Laminating Width: 12.5"
Laminate your precious photographs with ProLam Photo. The exclusive "Flex-Trite" system allows the rollers to adjust themselves to maintain the perfect pressure during the laminating process ensuring a clear, bubble free finish. 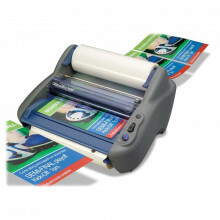 Fellowes Jupiter 2 125 12.5" wide laminator features a high-speed warm-up and an auto-adjust system that detects pouch thickness and self-adjusts to the optimal laminating setting. 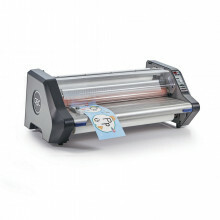 GBC Ultima 35 EZload thermal laminator is ideal for laminating projects up to 12" wide. Accepts GBC EZload roll film only. 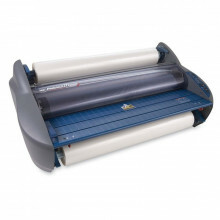 - Max Laminating Width: 12"
GBC HeatSeal Pinnacle 27 Roll Laminator laminates documents up to 27" wide. Accepts standard roll film. 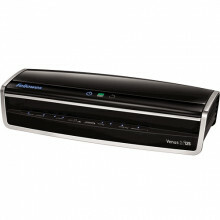 Fellowes Venus 2 125 12.5" high-performance laminator features a high-speed warm-up and auto pouch sensor. 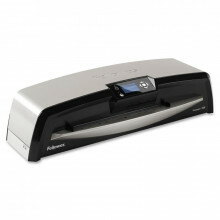 InstaHeat warm-up technology starts the laminator in 30-60 seconds. 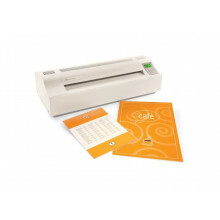 Rapid laminating speed delivers 40" per minute through the 12.5" throat.